12. Yu-Fen Yang* (2012) Blended learning for college students with English reading difficulties. Computer-assisted Language Learning. 25(5), 393-406 (SSCI, A&HCI) (NSC 99-2410-H-224-021). 18. Hui-Chin Yeh and Yu-Fen Yang (2011) Prospective teachers’ insights towards scaffolding students’ writing processes through teacher-student role reversal in an online system. Educational Technology: Research and Development, 59 (3), 351-368. (SSCI) (NSC 96-2411-H-224-015). 19. Yu-Fen Yang* (2011) A reciprocal peer review system to support college students’ writing. British Journal of Educational Technology, 42(4), 687-700. (SSCI) (NSC 97-2410-H-224-016-MY2). 20. Yu-Fen Yang* (2010) Developing a reciprocal teaching/learning system for college remedial reading instruction, Computers & Education, 55(3), 1193-1201. (SSCI) (NSC 99-2410-H-224-021). 25. Yu-Fen Yang, Wing-Kwong Wong, Hui-Chin Yeh (2009). Investigating readers’ mental maps of referential resolutions in an online system. Computers & Education, 53(3), 799-808. (SSCI). 26. Yu-Fen Yang* & Ya-Chen Hung (2009). Developmental progression of referential resolution in comprehending online texts. Educational Technology and Society. 12 (2), pp. 283-297. (SSCI). 29. Yu-Fen Yang, Hui-Chin Yeh, & Wing-Kwong Wong (2008). Constructing mental representation of reference by feedback in a computer system, Computers in Human Behavior, 24 (5), 1959-1976. (EI, SSCI). 30. Yu-Fen Yang (2007). The prevention of English reading difficulties in Taiwan. Studies in English Language and Literature, 20, 75-90. 31. Yang, Yu-Fen (2006) An Investigation of Undergraduates’ Comprehension Monitoring Knowledge and Strategy in EFL Reading. Journal of Science and Technology, Humanity and Social Studies, 15 (1), pp. 67-82. 32. Yang, Yu-Fen (2006) Item Design and Analysis of the English Literacy Diagnostic Assessment for Sixth Graders in Elementary School, Studies in English Language and Literature, 17, pp. 15-32. 33. Yang, Yu-Fen (2006) Reading Strategies or Comprehension Monitoring Strategies? Reading Psychology, 27(4), pp. 313-343. 34. Yang, Yu-Fen (2006) The Integration of Phonological Awareness Assessment and Instruction for EFL Beginners in Elementary School, Studies in English Language and Literature, 18, pp. 1-27. 35. Wong, Wing-Kwong, Lee, Jian-Hau, Yang, Yu-Fen, Yeh, Hui-Chin, Ciao, Chin-Pu, and Hsu, Sheng-Cheng (2006). A computer-Assisted Environment on referential understanding to enhance academic reading comprehension. PRICA, LNAI 4099, 1119-1124. (SCI). 37. Yang, Yu-Fen and Kuo, Hsing-Hsiu, 2003, Influences of Lexical Process on Reading, Reading Psychology, Vol. 24, No. 1, pp. 87-103. 38. Yang, Yu-Fen, 2002, Reassessing Readers’ Comprehension Monitoring, Reading in a Foreign Language, Vol. 14, No. 1, pp. 18-42. 1. Yu-Fen Yang, Wing-Kwong Wong, Hui-Chin Yeh (2009) Process of constructing sentences from online bilingual corpus, Paper will be presented at ICTE 2009: International Conference on Technology and Education, June 24-26, Paris, France. 2. Yang, Yu-Fen (2005) A Large-scale Study of English Literacy Assessment for Pupils in Elementary School. Proceedings of the 22nd International Conference on English Teaching and Learning in R. O. C., pp. 352-367. 3. Yang, Yu-Fen and Lai, Hui-Fen (2004) Item Analysis of Reading Assessment for Trading English. Proceedings of the 2004 International Conference on English Instruction and Assessment, pp. 219-236. 4. Yang, Yu-Fen (2004) The Pilot Study of Diagnostic Reading Assessment, Proceedings of the 21st International Conference on English Teaching and Learning in R. O. C., pp. 241-254. 5. Yang, Yu-Fen, 2003, The Development of Diagnostic Reading Inventory, Proceedings of the Twentieth International Conference on English Teaching and Learning in R. O. C., pp. 273-288. 6. Yang, Yu-Fen, 2003, Diagnostic Reading Inventory Online, Proceedings of Seminar on Multimedia English Learning and Teaching, pp. 62-107. 7. 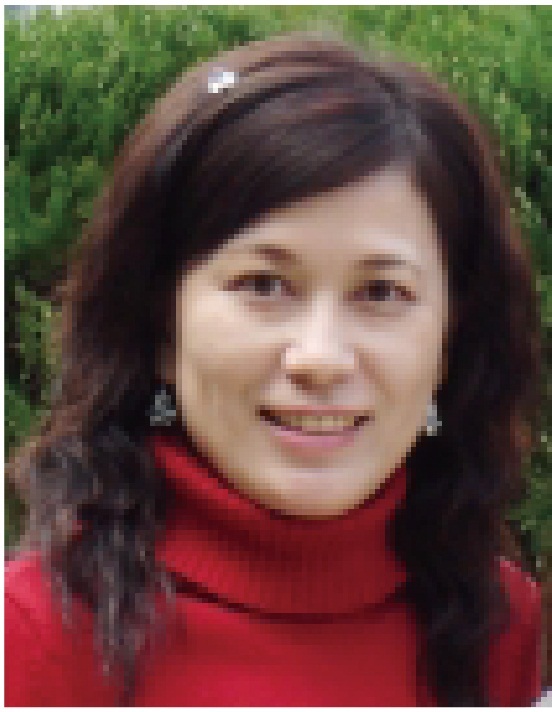 Yang, Yu-Fen, 2002, Developing Vocabulary Size and Analysis Test for Identifying TVES College students’ Reading Levels, Proceedings of the Nineteenth International Conference on English Teaching and Learning in R. O. C., pp. 489-500. 8. Yang, Yu-Fen, 2002, Diagnosis and Remediation on TVES College Students’ Vocabulary Comprehension Difficulties, Proceedings of the 17th Conference on Technological and Vocational Education, pp. 55-68. 9. Yang, Yu-Fen, 2001, Social Influence of Teacher Intervention on Readers’ Comprehension Difficulties, Proceedings of the 18th Conference on English Teaching and Learning in R. O. C., pp. 378-390. 10. Yang, Yu-Fen, 2001, Time and Frequency of Teacher Intervention in Students’ Vocabulary Comprehension Process, Proceedings of the 16th Conference on Technological and Vocational Education, pp. 63-72. 11. Yang, Yu-Fen, Kuo, Hsing-Shiou, 2001, Vocabulary Comprehension Strategies Employed by Proficient and Less-Proficient Readers in NYUST, Proceedings of the 16th Conference on Technological and Vocational Education, pp. 73-82. 12. Yang, Yu-Fen, 1999, The Role of Teacher’s Intervention in the Think-aloud Method, Proceedings of the Sixteenth Conference on English Teaching and Learning in the R. O. C., pp. 253-269. 1. Yu-Fen Yang* and Hui-Chin Yeh (2012) Challenges and opportunities in developing language e-portfolios. In Cambridge, D. (Ed.) E-Portfolios and Global Diffusion: Solutions for Collaborative Education (pp. 194-212). IGI Global. 1. Yu-Fen Yang *(2019) Demanding Love. (強迫的愛). pp. 1-22. 2. Yu-Fen Yang *(2019) The Only Way to Be Rich.(致富唯一之道). pp. 1- 32. 3. Yu-Fen Yang *(2019) A Great Mother. (偉大的母親). pp. 1-28. 6. Yu-Fen Yang *(2019) The International Date Line. (國際換日線). pp. 1- 24. 8. Yu-Fen Yang *(2019) To be Somebody. (一鳴驚人). pp. 1-26. 9. Yu-Fen Yang *(2018) Blessings (祈福). pp. 1-28. 10. Yu-Fen Yang *(2018) Which One Is Cheaper? (哪一樣較便宜?). pp. 1-32. 11. Yu-Fen Yang* (2017) Finding no jobs. (找不到工作). pp. 1-24. 12. Yu-Fen Yang* (2017) What should I do? (我該怎麼辦?).pp. 1-32. 13. Yu-Fen Yang* (2017) Gender difference. (男女大不同). pp. 1-24. 14. Yu-Fen Yang* (2017) Forget me not.(勿忘我). pp. 1-28. 15. Yu-Fen Yang* (2017) A Perfect Life (完美人生). pp. 1-28. 1. Hui-Ching Yeh, Yu-Fen Yang, and Chong-Chuan Hui (2014) Computer-assisted Language Learning System (Patent No. I 434243). 2. Yu-Fen Yang, Wing-Kwong Wong, and Hui-Ching Yeh (2013) A System of Enhancing Reading Comprehension (Patent No. I 382374). 3. Yu-Fen Yang, Hui-Ching Yeh, and Wing-Kwong Wong (2013) Online System and Method for Reading Texts (Patent No. I 406199). 4. Hui-Ching Yeh, Yu-Fen Yang, and Wing-Kwong Wong (2013) Language Learning System and Method I (Patent No. I389065). 5. Hui-Ching Yeh, Yu-Fen Yang, and Chong-Chuan Hui (2013) Language Learning System and Method II (Patent No. I 420434).